Appointment includes Foot Health checks, Vascular Assessment, Diabetic Neuropathy checks (for diabetic patients), Routine Nail Care, Hard Skin Removal and Corn treatment. Also basic treatment of ingrowing toe nails. 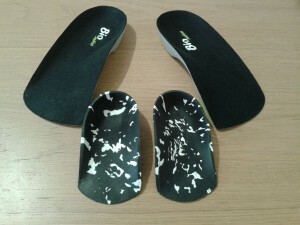 More suitable for people with foot, knee, lower back pain, running injuries, and flat feet / fallen arches. 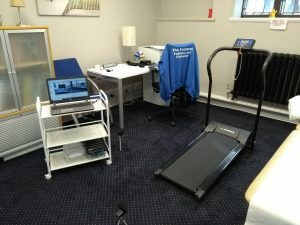 Appointment includes full lower limb assessment, range of movement and neurological assessment, foot posture and gait (walking / running) video analysis. 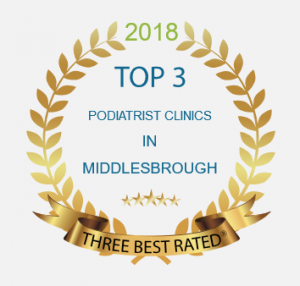 You will be contacted by the podiatrist to complete the deposit before the appointment will be guaranteed. Initial Assessment to review medical history, vascular and blood pressure assesssment, talk through the surgical procedure and consent forms. Please note nail surgery is not peformed at this assessment. A basic intervention may be performed if suitable. Package includes: Nail surgery procedure, follow-up appointment 2-3 days later to review and re-dress, all dressings required, and follow-up review 6-8 weeks. £195 - 1st nail, +£60 each additional nail treated at the same time. Home visits are available for the Middlesbrough Area. PLEASE NOTE: I have the following cancellation policy. 24 hour notice must be given to change an appointment. Less than 24 hours for cancellation or re-arrangement of an appointment - 50% charge of the booked treatment . Failing to attend an appointment - full charge for the planned appointment. By booking an appointment at my clinics, you agree to these terms and conditions.